Following the October release of its redesigned "Selfie" 4-in-1 Photo Lens for the iPhone 6 and 6 Plus, Olloclip is today introducing two new lens sets to expand the range of options available to iPhone photographers. The new Macro 3-in-1 Lens offers three new magnification levels at 7x, 14x, and 21x, while the new Telephoto + Circular Polarizing Lens brings 2x magnification alongside a polarizing lens that minimizes reflections and reduces glare. MacRumors went hands-on with both of the new Olloclip sets over the weekend to give you a look at what kind of images the new accessories are capable of producing. 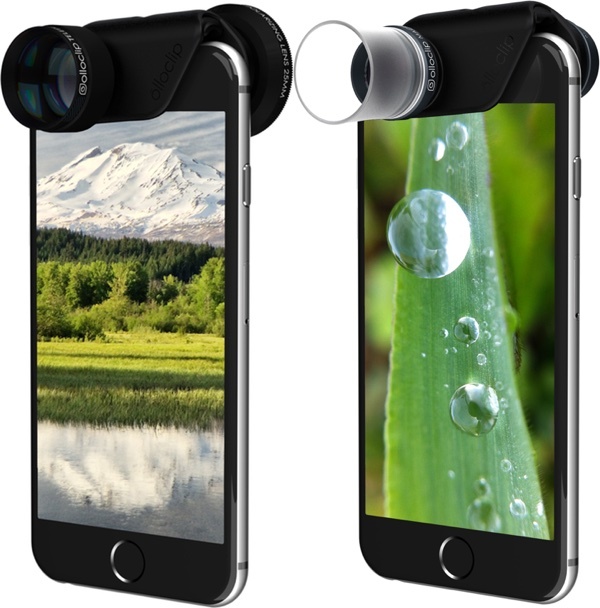 Like the 4-in-1 Lens for the iPhone 6 and 6 Plus, the two new Olloclip lenses come with a lens attachment that's compatible with both the front and rear iPhone cameras. The Telephoto + CPL accessory features a 2x telephoto lens attachment along with a polarizing lens that is detachable and compatible with other Olloclip lenses thanks to interchangeable filter mounts. Box contents of both lens sets combined. The Macro 3-in-1 accessory comes with a 21x macro lens on one side, and a 7x/14x lens on the other side. Switching between magnifications is done by unscrewing the lens. There are also two lens hoods which serve as positioning guidelines to help you determine the optimum position for an in-focus macro shot. 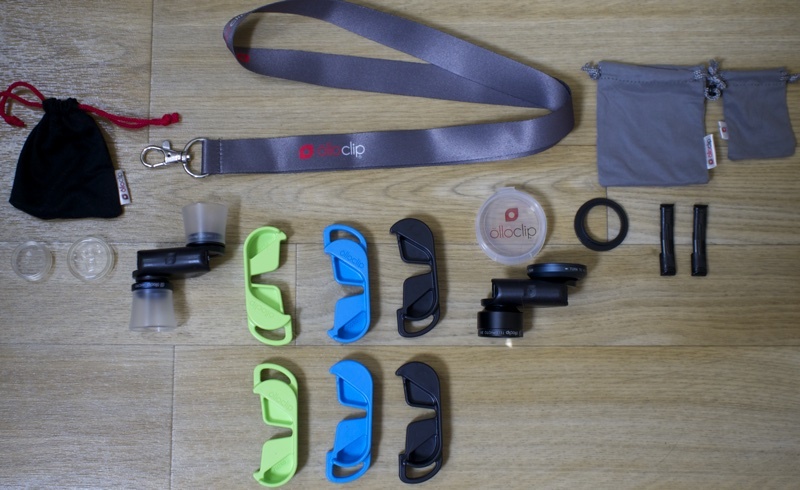 Both lens sets come with three interchangeable carrying clips in green, blue, and black, lens caps, carrying pouches, a detachable wearable lanyard, and two removable inserts to adjust the fit to either the iPhone 6 or the iPhone 6 Plus. The lens accessories feature a reversible body made of a thick plastic that allows them to be fitted over the rear and front facing cameras of the iPhone 6 and 6 Plus, and the lenses themselves are made of high-quality aluminum and glass. As with all Olloclip photo accessories, the new lenses cannot be used with a case or a screen protector due to the tight fit, but Olloclip is working on a very nice iPhone 6 and 6 Plus case that we were able to check out at CES. It should be coming in the near future. The lens sets are compatible with the iPhone 6 and the iPhone 6 Plus, with the different fit accounted for with plastic inserts. Each lens slides easily over the protruding rear-facing camera and locks into place. On the smaller iPhone 6, when the rear-facing camera is in place the opposite lens fits over the front camera, but with the larger iPhone 6 Plus, the lenses need to be tilted to the left when switching between the front and rear cameras. Even though it's necessary to slightly adjust the lenses on the iPhone 6 Plus, getting them on the phone is super quick and takes only seconds, which means you're not likely to miss an important moment fumbling around to try to get the lenses attached. When not in use, the lenses are designed to snap into the included pendants for easy transportation and storage. The pendants can be clipped onto key rings, backpacks, or worn around the neck with the lanyard, and there are also storage bags included. Olloclip's original 4-in-1 Lens for the iPhone 6 and 6 Plus included 10x and 15x macro lenses, but this newest option provides a higher max magnification at 21x and more versatility with 7x and 14x options. The difference between the three magnification levels can be seen in the image below. As with all of Olloclip's lenses, the photographs that are produced using the macro lenses are of great quality and can be super crisp with a steady hand or a tripod. The macro lenses do, however, need to be very close to their subject in order to focus, so taking images of bugs and other moving creatures is a difficult task. The macro lenses come with two hoods that help you figure out where to position the lens to focus, which makes taking macro shots quick and easy. It's also possible to use the iPhone's built-in zoom to get up to 80x magnification, but we had some difficulty getting a clear shot when zoomed all the way in due to the natural blurriness introduced with digital zoom. You can use the Macro 3-in-1 lens over the front facing camera in "selfie mode," but this is of limited use because the lens needs to be in such close proximity to you that it's difficult to focus. 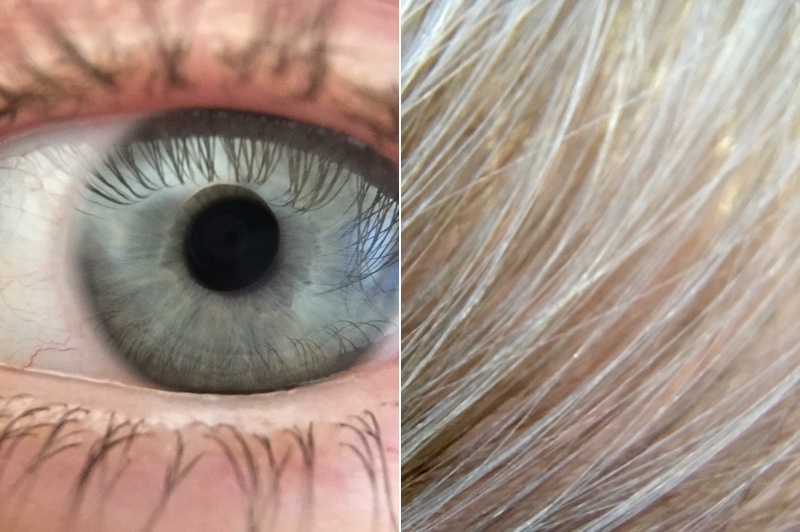 There are also few use cases for a selfie macro lens, but it's nice to have the option if you want to take a close up shot of an eye or other body part. The Telephoto + Circular Polarizing Lens accessory offers a fixed 2x magnification lens on one side that lets you get twice as close to your subject with no loss of image quality. According to Olloclip, it also provides a "more creative depth of field" to make subjects stand out when taking portraits. While photos taken with the Telephoto lens are always sharp in the middle, there is some minor distortion in the form of blurring around the edges of the photo, which is part of the reason why single subjects can seem to pop when using this lens. It's not necessarily a bad effect, but something to be aware before purchasing. The iPhone 6 and the iPhone 6 Plus have a native focal length of about 29mm, and the Olloclip effectively doubles this to approximately 58mm, which is a more ideal focal length for portraits. 58mm is a very versatile focal length, which is why the 50mm prime lenses from companies like Nikon and Canon are often some of the most popular with photographers. We were impressed with the Telephoto lens, both in terms of build and photo quality. 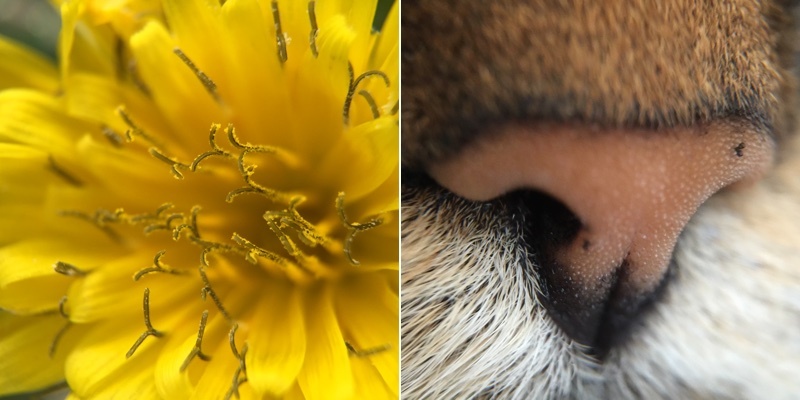 The lens is Olloclip's heaviest and it produced images that were much less pixellated than those created with comparable digital zooming techniques right within the iPhone. Twice as close might not sound like much of an improvement, but it makes a noticeable difference when attempting to capture an image of something that's far off in the distance and can get you much closer to your subject for crisper photos. You can also use this lens on the front facing camera, but there's little point because you can also just hold the iPhone closer to your face if you want a selfie that's zoomed in. The other side of the Telephoto lens attachment houses a Circular Polarizing Lens, which can also be detached and combined with other Olloclip lenses. Polarizing filters are designed to cut down on glare, neutralize reflections, and make colors more true to life. 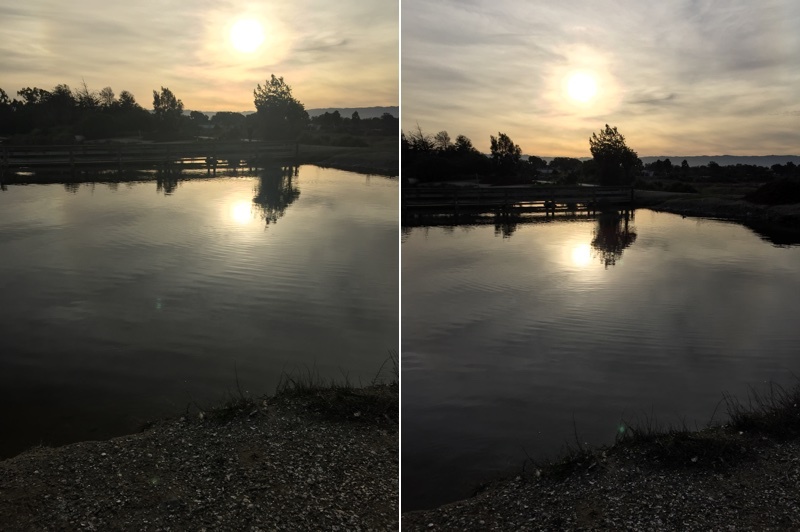 Glare on water might be less noticeable with the polarizing lens, for example, and it can also darken the sky to make for a more realistic photo. 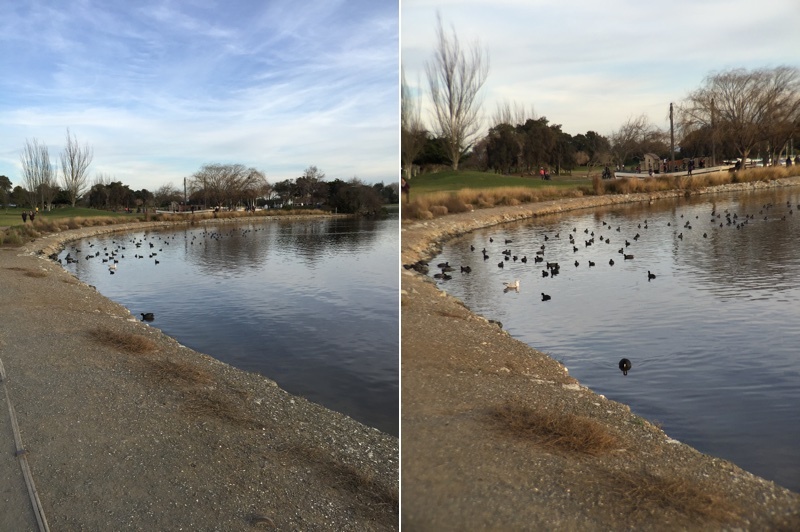 Olloclip's polarizing lens can be adjusted for each of these effects by twisting the adjustable dial. Olloclip's lenses are ideal for iPhone owners whose phones have replaced digital cameras. They add a wide range of new capabilities to the iPhone's camera, providing more versatility for those who regularly use their devices to capture photos and videos. Camera improvements have put the iPhone on par with a traditional point-and-shoot, and the Olloclip lens accessories let you mirror some of the features that you might get with a standalone camera option. If you've ever wished you could get a clearer, closer picture of an object in the distance, the Telephoto accessory is an ideal choice, and for those who enjoy macro photography, the Macro 3-in-1 has the ability to produce gorgeous photos. If you're looking for a lens that will allow you to capture larger landscapes, check out the original 4-in-1 Lens accessory, which has a fisheye option, a wide angle option, and two macro options. The Telephoto + Circular Polarizing Lens can be purchased from the Olloclip website for $99.99. The Macro 3-in-1 Lens is also available from the Olloclip website for $69.99, and the original 4-in-1 Lens for the iPhone 6/6 Plus sells for $79.99. Now if Apple would let you have full manual control this might be interesting, till then this is just slapping cheap glass onto cheap glass. iPhone is for taking selfies not for anything serious. Canon actually killed their point and shoot line, others are following suit. 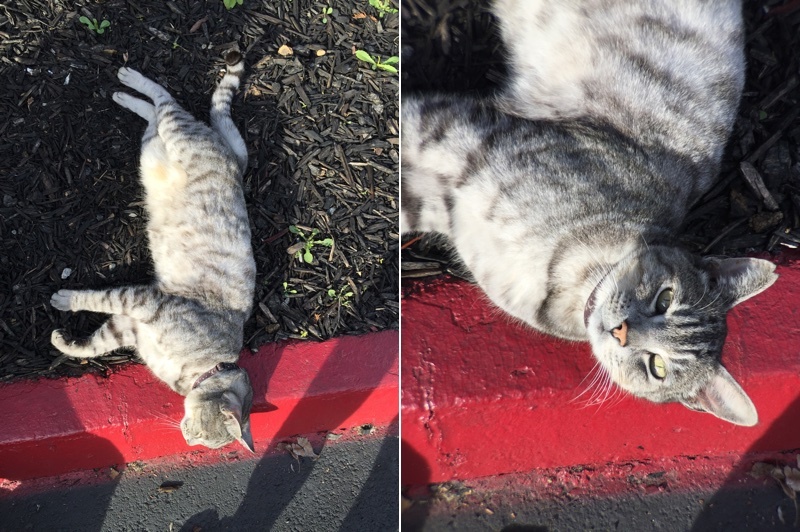 iPhone Is the replacement and yet is garbage full auto camera. Until that changes this will just be a joke. any photographer/filmmaker without rigid self-imposed ideologies can use pretty much any visual medium to create something worthwhile. who 'says' the iPhone was a replacement for anything? rather than any authority or collective group claiming that, the iPhone just - exists - in large numbers, and ate into the point and shoot market as pretty much expected.. serious photographers get actual cameras. i don't understand how you can look at many of the countless beautiful shots people get with their smartphones, and claim that it's all junk and cheap. I'm actually fairly surprised how well the macro lenses actually work. I really always thought that the main bottleneck would be the actual iphone lens built in, or maybe the sensor. It's fairly impressive though! Absolutely love the richer feel that these lenses add to the photo shoot. I am seriously considering buying them. I really dig the 4-in-1 lens set; the 10x macro comes in very handy at work. Way too many accessories in the box I think! :p Some nice shots. i read "what's in the box" in brad pitt from Se7en voice. You can get apps that let you control the ISO/shutter speed etc. They make lenses like these for point-and-shoots too. I have used them, and they're even more awkward. Used to have a tele on my Canon and it literally toppled the thing over because it weighed more. It got me some good results though. Still ended up selling it. I have been playing with the idea of getting a DSLR since I got out of high school. There are just better things in life that are better worth dropping that kind of money on. I don't take as many pictures these days either. You could pick up a real cheap 2nd hand DSLR and lens. Go for it, you'll be amazed at the rests compared to an iPhone. If I have to carry extra lenses around, I would rather just carry a point and shoot camera which does all of these things but better. Of course, that's more expensive...but worth it. Canon actually killed their point and shoot line, others are following suit. When did they do that? Go to their site....they still sell, make and update their "point and Shoot" camera lines. I just look at it the same way I see a ipad with the case with a built in keyboard. Yes it works, but why? It to me defeats the whole purpose of the beauty of the design of the ipad. I know lots of amazing photos are taken by iPhones, but this is just extra stuff that defeats the form and ease of use of the iPhone. I don't see the use of this.